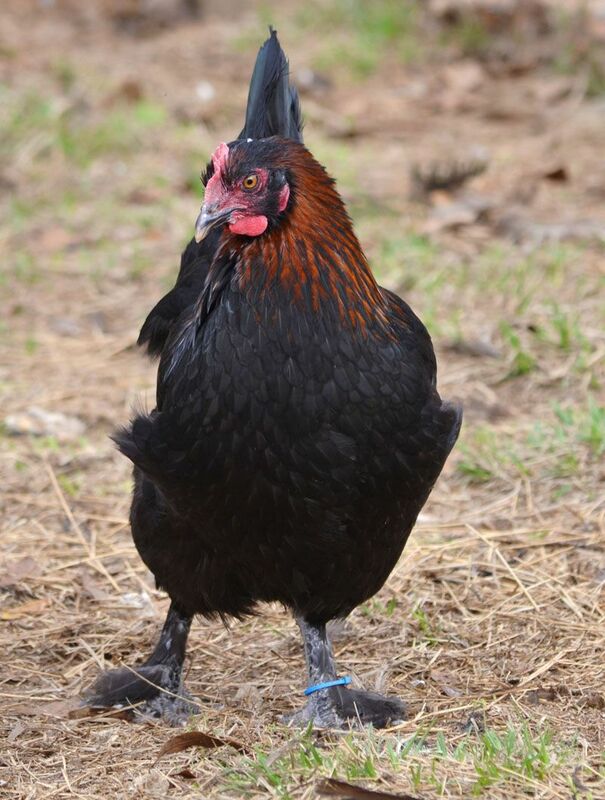 We are pleased to announce the release of a new bloodline of Black Copper Marans. Our hope is that this new import will breathe some life into the Marans genetics currently available in the US. 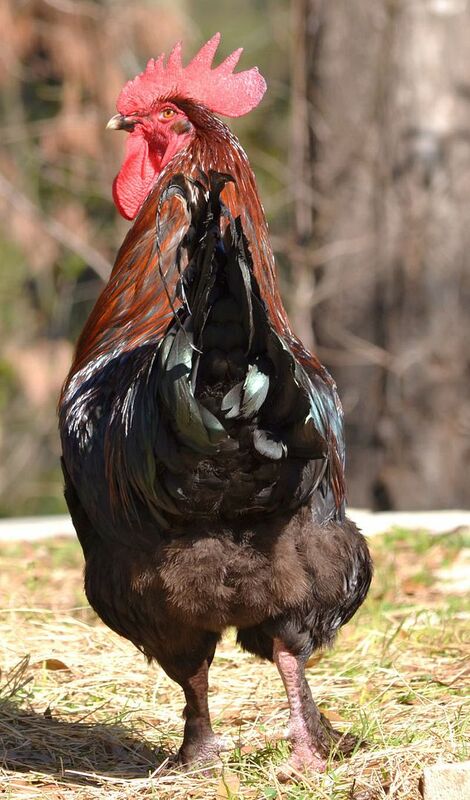 The Marans have suffered a bit of an inbreeding depression in the past decade, resulting in poorly feathered legs, lighter egg color, etc. 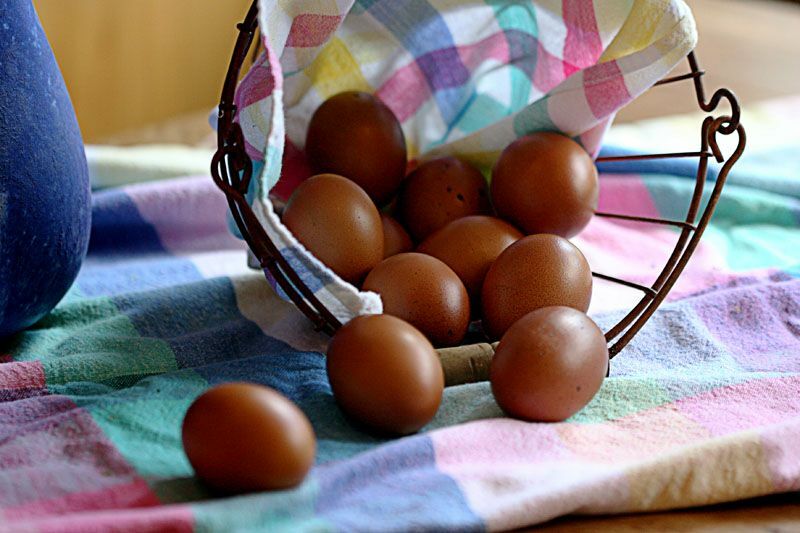 We have been pleased with the new line so far and are amazed during egg collection daily with the strikingly dark eggs these hens are producing! 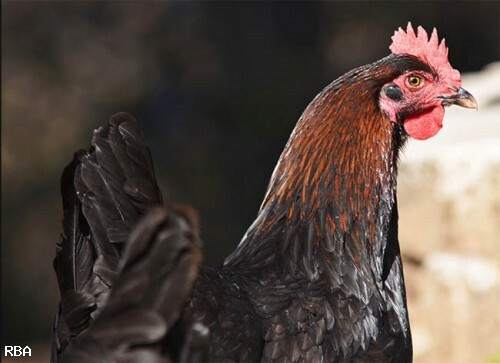 The American Poultry Association has established a flock certification program for those chicken breeds that are included in the APA Standard of Perfection. In order for a flock to be certified as compliant with the APA standard the flock must be inspected by an APA judge and at least 98% of the flock has to conform to all major breed traits identified by the Standard. This sets a very high bar for breed conformity which is why you will rarely if ever find a large hatchery that produces chicks from APA certified flocks. 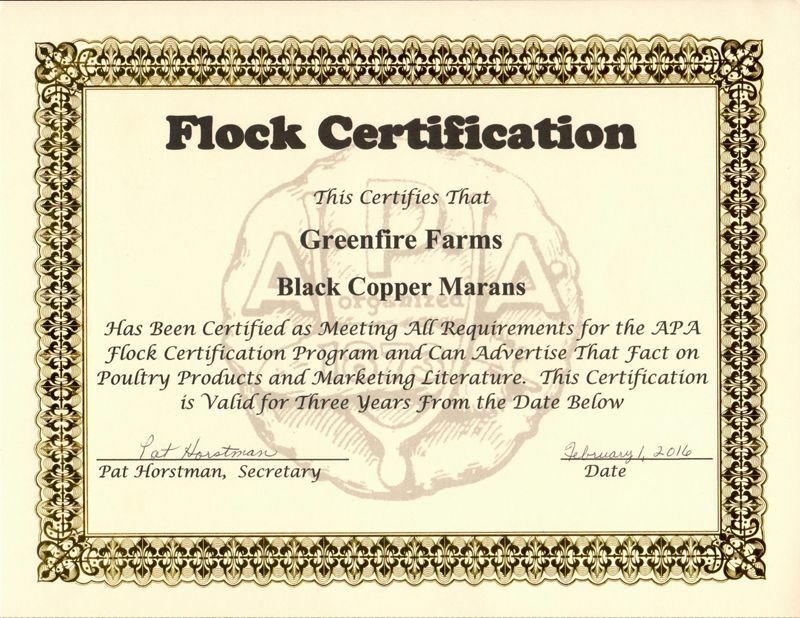 However, in 2015 Greenfire Farms applied to have its black copper Marans inspected under the APA flock certification program, and our farm was visited by a former APA president and current APA judge. Based on this inspection, in 2016 our flocks were awarded APA certification. Because of this certification you can be assured you are receiving chicks produced by a flock meeting the highest APA standards. At Greenfire Farms, we are working with exceptional stock from a champion bloodline to strengthen the genetic foundation available to US breeders. 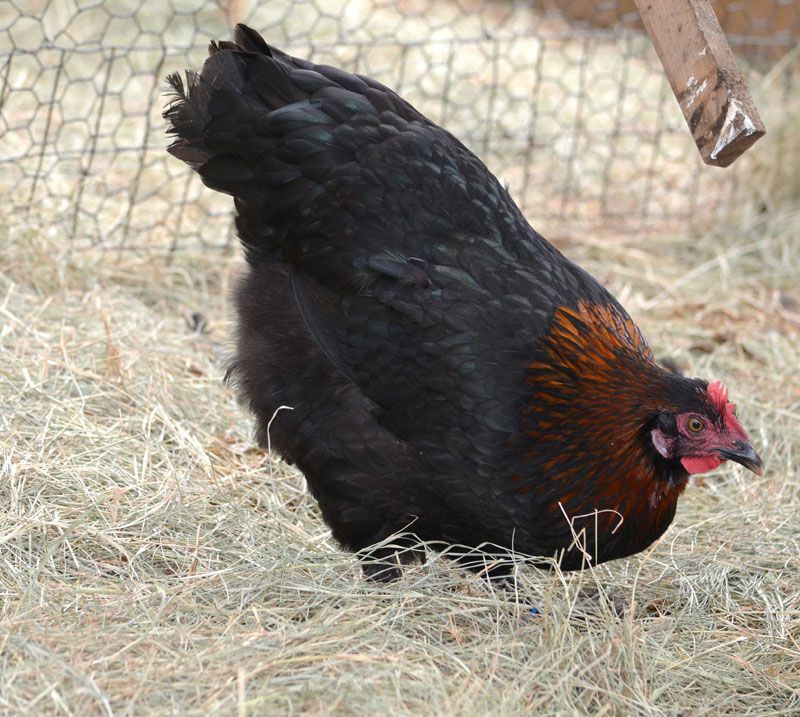 We sought out a line that would reliably produce dark colored eggs, would have the correct leg feathering and hackle coloring, etc. The birds pictured on this auction represent the quality of the stock we are raising. The winner will receive 15 unsexed day-old chicks that will be vaccinated for Marek's. The winning bidder pays $35 shipping. We will ship USPS Overnight Express within 2 weeks after the close of this auction.